When my mother-in-law makes gambas al ajillo, everyone seems to be right on time for dinner. We scarf down our salmorejo and croquetas de jamón— first courses that are only a buffer before the true plato del día. Her gambas al ajillo are fantastic, rivaled only by the ones at Madrid’s famous Casa del Abuelo (where you get to see them prepare the shrimp right in front of you and your plate always comes out sizzling). Her secret can be explained in two words, sherry and butter. 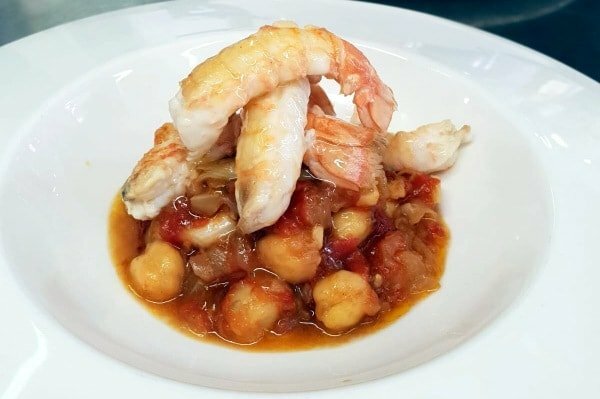 Traditionalists cover your ears, my suegra doesn’t make the most typical gambas al ajillo recipe in Spain– but it might be the most delicious! 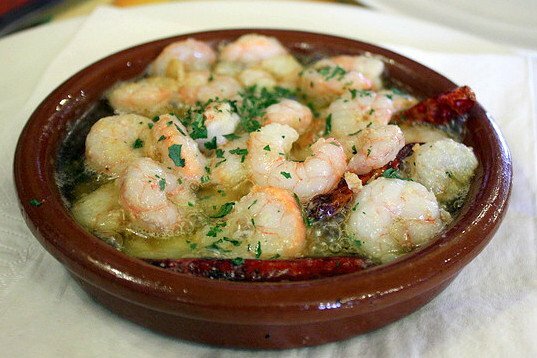 My mother-in-law's gambas al ajillo recipe is one of Spain's best. Piping hot garlic shrimp, smothered in olive oil with a slightly spicy kick! My mother-in-law makes these in individual sized clay dishes (cazuelitas) that you can put directly on the stove to cook in. Here I'll assume most will make the dish in one large pan and then plate separately. Completely cover the bottom of a large frying pan with olive oil and slowly heat along with the garlic and cayenne pepper pods. When the garlic begins to sizzle add the shrimp and sauté a moment. Once everything starts to sizzle again, add a splash of sherry and a sprinkle of salt. 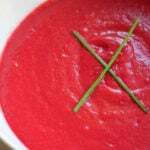 Remove from the heat and divide into four servings. Top each serving with a touch of butter, and give it a quick stir before serving. 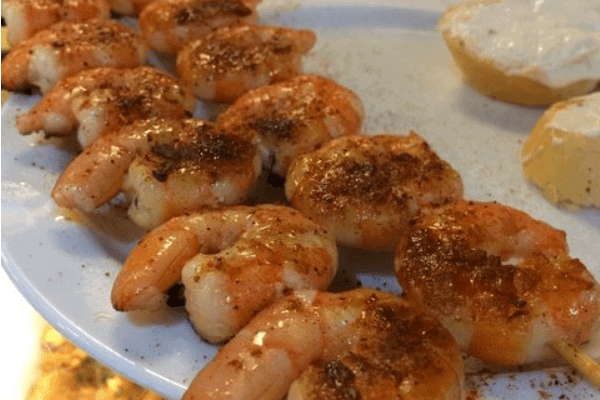 I hope you enjoy my mother-in-law’s gambas al ajillo recipe as much as we do. If you try it, please leave a comment (she gets a kick out of that! 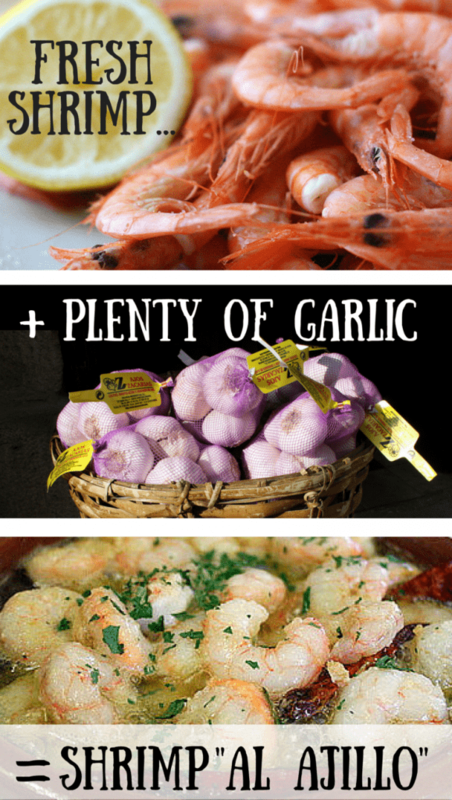 Mmmmmm I had no idea gambas al ajillo were so simple! Hola Xuan! Muchas gracias por comentar y me alegro mucho que te haya gustado la receta! La tendré que probar con sidra y las cabezas– buen idea! No únicamente la cabeza, sino que también añade la concha de las gambas. 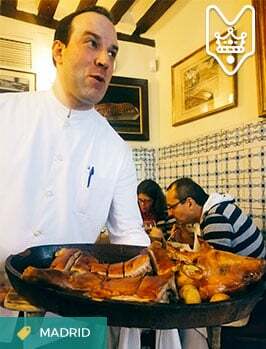 Desde luego, deseche las cabezas y conchas ántes de servir. 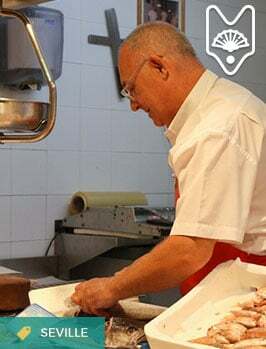 Una forma de facilitar el procedimiento es cociendo la cabeza y concha en aceite de olivo y luego, continuando con su procedimiento, añadir el aceite de olivo a las gambas . on the picture, there is some green vegitable, but not in de recepe. Is this parsly? Yes– completely optional and I usually omit! 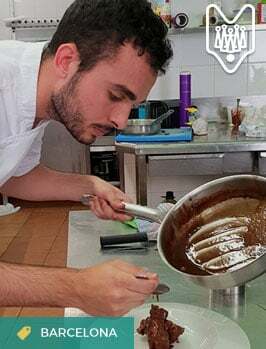 Hello, We have a young man from Madrid he is 17 he is our exchange student, i would love to make a meal for him from his country. 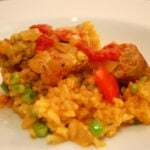 i found a Tortilla Espanola that looks so yummy can you please send me a couple of ideas that are related to Spain? My favorite tapas restaurant has closed down – Casa Tapas, in Montreal – whether temporarily or for good, I do not know… but I do know that I cannot live life without their gambas al ajillo! Thank you for the recipe so I can learn to make this at home. Question: Can you recommend a source for quality clay cookware? Need a set or two of 6″ or smaller cazuelas like you use here. Thanks again! Hi Randall– how sad! But at least you’ll learn to make them yourself! I don’t have a specific recommendation, perhaps try Amazon? Thanks for reading! There’s no rule! Some restaurants fill theirs to the brim, others have the shrimp in one layer. My mother-in-law seems to have a slightly different size for each guest at the table!